With a sunny start to April and the longer days ahead, you might begin to see the streets and green spaces of Scotland filled with children and wonder: is it not always so? Sadly, like the rose-tinted memories of endless childhood summers, it isn’t. But it could be. While Scotland’s children and their families have been taking full advantage of the weather and time off school to go outside and play, it is, in truth, far from the common state of affairs. Children are not playing outside enough and it is a serious problem. Obesity, diabetes, heart disease, cardiovascular problems, and mental health issues are all linked to inactivity and are on the rise. Instances of bone fractures and osteoporosis are also increasing, caused by a lack of physical activity and poor motor skills. Our children are sitting inside too much and not running and playing outside enough, and the ill-effects of this will be with them long into adulthood. In a 2016 study of 38 countries, the Active Healthy Kids Report Card, Scotland scored an F for levels of physical activity and sedentary behaviour – joint last place. Yet we scored high marks – joint second place – for both physical activity policy and facilities. 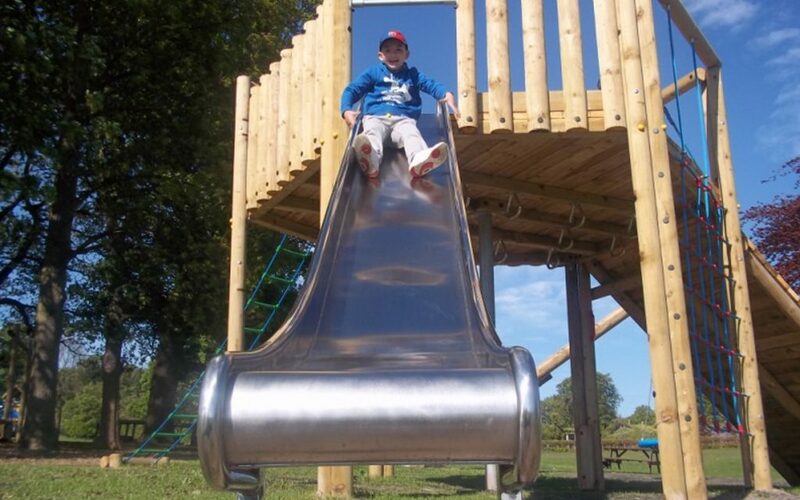 Public investment has been made into the play sector but we are not yet at tipping point. The problem lies with us as adults. It is up to us to unplug the computer, take away the tablet or smartphone, open the back door and put our wellies on. It is easier not to, of course. It is less demanding of our time, effort and energy to settle for sitting on the couch with a screen but it is damaging our children. The benefits for children of playing, and playing outside, are enormous. Research, from Scotland and elsewhere, shows playing physically active games increases children’s health and fitness and teaches them the basic physical skills they need throughout their lives. Studies also link active playing, and the interaction that comes with it, with the development of social skills and emotional resilience. Children learn to problem-solve and risk-assess through play and being physically active develops cognitive ability and is linked to academic achievement. And all of this comes perfectly naturally to children; play is physical activity, and personal development, by stealth. But we still keep our children indoors. If we believe in a better future for our children, we need to make playing outdoors a fundamental part of growing up. Why don’t we take down No Ball Games signs and make outdoor spaces in our communities safe, child-friendly places where play is encouraged? Why should we make playing outside weather-dependent when puddles are fun and snow is magical? Why don’t we make playgrounds accessible outside of school hours to act as community spaces? We need to start early and make outdoor play something children do every single day and not the preserve of school holidays or a lucky few kids. Playing doesn’t need expensive equipment or facilities, just space – a street corner, a park, a garden or a woodland. And all children want to play. All we need to do is learn to let them. Article taken from The Herald – 18th April 2017.